About: The Salisbury has just had a thorough refurbishment, yet the lavish cut and etched glass, mirrors and mahogany still remain, completing the elegant interior. 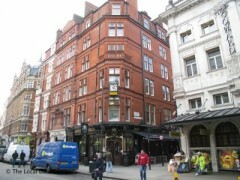 It is a popular and therefore busy Victorian pub that serves bar food between midday and 7.30pm. Catering for private parties of up to 50 guests is available upon request and seating on the terrace area, weather permitting. Great pub, really gives the feel of an old London pub. Nice interior with very friendly staff. Beer is average but the atmosphere makes up for that. Prices are OK. Its my favourite pub in London. Excellent location but does get very busy at weekends.